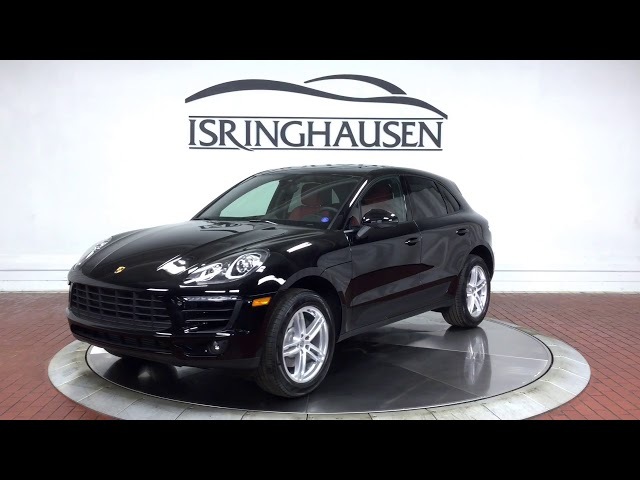 Factory options on this 2018 Porsche Macan in Black with Garnet Red Interior include Premium Package Plus, Porsche Connect, Lane Change Assist, Leather Package, 19" Macan Turbo Wheels and much more. The compact SUV as only Porsche engineers could have imagined it, combining sportiness, design and everyday practicality. Contact a Porsche sales specialist today by calling 877-362-9715. Isringhausen Imports is Central Illinois' premier new car, used car and certified pre-owned (CPO) dealership for quality BMW, Porsche, Volvo and Mercedes-Benz vehicles. At Isringhausen Imports, we have become a leader in the industry by working each day towards the greater good of our customers, our fellow employees, and our community.